The ‘Only Fools and 3 Courses Dining’ Invitation! Join us for the dinner event of the year which combines fine food and classic comedy action as Marlene and Boycie invite you to a Gala Dinner. Chaos and mayhem are served in large portions and very likely to interrupt the proceedings, Del Boy, Rodney, Uncle Albert, Trigger all put in an appearance, and the finale with Raquel and Tony singing “CWING” has to be seen to be believed. 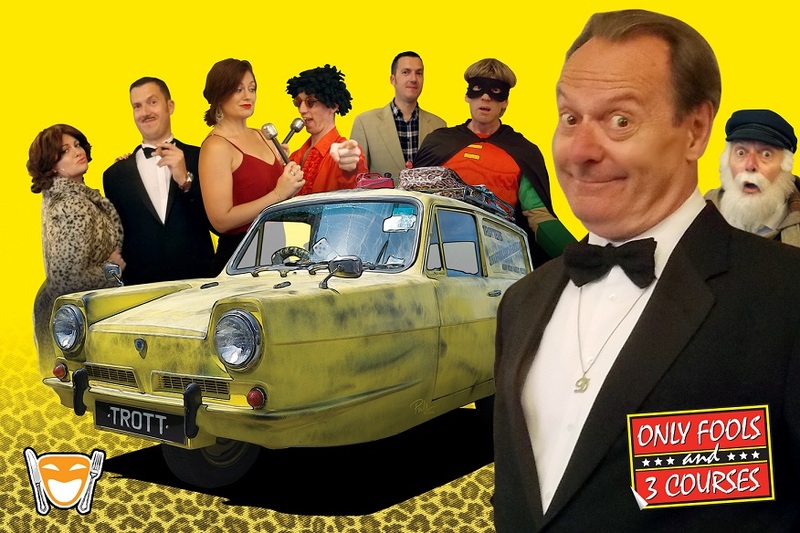 Expect a big fun night out in a friendly party atmosphere with some of the finest comedy actors in the land, professionally produced to the highest standards and with your enjoyment always at the top of the menu. A show that guarantees to reach chuckle muscles you never knew you had!